When it comes to recruiting as an in-house recruiter or building and growing a recruitment consulting business, one needs to stay on top of the latest recruitment trends and best practices. Whether it’s preparing for recruiting millennials or changing talent acquisition and assessment practices to suit the most digital-savvy candidates, recruitment is a dynamic business that needs continuous learning. So to help you to do your best recruiting for your clients or companies and grow your business (or advance your recruitment consultant career) in 2019, here are 12 must-read recruitment books. Some of these books focus on the business side of recruiting while some of them focus on the skills and art of recruiting. Recruiters from organizations of all sizes and types will find their favorite in this list. Subscribe to our weekly content digest and stay up-to-date on everything recruitment related! A best-selling author, recruitment influencer, and expert, Steven Mostyn has more than 18 years of experience recruiting and sourcing candidates for companies like IBM, Oracle, and Walmart. Mostyn has helped companies with their sourcing needs in many different industries like financial services, technology, consulting, and healthcare. In his book, Recruiting 101: The Fundamentals of Being a Great Recruiter, Mostyn shows recruiters the 15 key skills they need to succeed in their careers. In this inspiring read, Mostyn asks recruiters to embrace a positive attitude in their recruitment careers and accept all the ups and downs that come along. If you’re a recruitment consultant or run a recruitment agency, pick a copy of this book as it’s a great primer on the fundamental recruiting skills you need to grow your recruiting consulting business or career. Recruiting 101: The Fundamentals of Being a Great Recruiter gives hundreds of steps and tips you can start using right away covering everything right from improving your relationship with the hiring manager of your client/company to providing excellent customer service to both your clients/companies and candidates. A recruitment visionary, TEDx Speaker, and President of Success Performance Solutions, Ira Wolfe has extensive experience offering hiring and assessment solutions and recruitment consulting. In his book, Recruiting in the Age of Googlization: When The Shift Hits Your Plan, Wolfe explores how technology like people analytics is disrupting the recruitment field. If you need a recruitment blueprint that’s data-driven and 2019-ready (and beyond), get a copy of this book as Wolfe dives deep into it on how you can embrace data and prepare for (recruiting for) the future of jobs and fine-tune your recruiting, selecting, managing, and retaining practices. To excel as a recruitment consultant or to grow your recruitment consulting business, understanding people analytics is a must. An expert in organizational and business psychology, Thomas Chamorro-Premuzic focuses mainly on people analytics, leadership development, and entrepreneurship. He is confident that psychology is the way to attract and manage talent in the contemporary world. The book The Talent Delusion: Why Data, Not Intuition, Is the Key to Unlocking Human Potential shows the readers what data-driven solutions companies can use to solve problems surrounding employee selection, development and engagement, how to get various insights into employee behavior, and much more. More and more companies will be employing data and technology in recruitment in 2019. Are you curious about how science can help in recruiting the best employees? Then you will find this book full of evidence inspirational as well as thought-provoking. Corporate recruiter and coach, Katherine Moody trains recruiters at dozens of companies ranging from DIRECTV and Verizon Wireless to The Cheesecake. She has helped companies of every size and industry hire for positions like individual contributors all the way up to CEOs. In her book, The Consultative Recruiter: The Key to Faster Fills, More Candidates & Happier Hiring Managers, Moody shows recruiters killer strategies to find more qualified candidates and reduce the time to fill metric. Geared exclusively toward recruiters, this book focuses on how recruiters can work and collaborate the best with hiring managers. 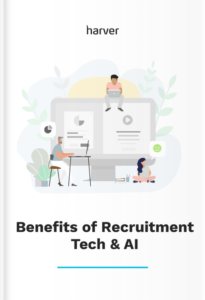 Filled with time-saving recruitment cheatsheets, ready-to-use recruitment scripts, actionable recruitment hacks, a hiring manager+recruiter worksheet, and tips about using AI tools, this book is a must-read for every recruiter. What’s more, you can access to Moody’s course How to Leverage AI Tools to Become A Consultative Recruiter. A recruitment influencer and best-selling author, Tim Sackett (SHRM-SCP, SPHR) is the President of HRU Technical Resources (a leading IT and Engineering Staffing firm). Sackett has helped many companies including a few Fortune 500 ones in industries like healthcare, retail, dining, and technology with their recruitment needs. Sackett also runs a popular HR blog (The Tim Sackett Project). 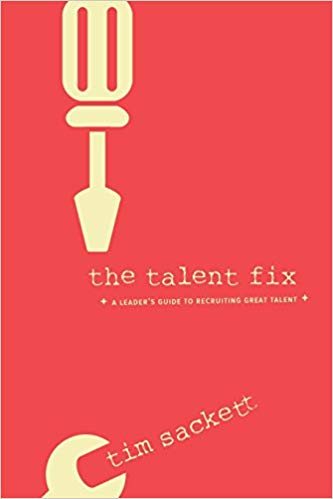 In his book, Talent Fix, Sackett shows recruiters how they can ace the talent acquisition part of the recruitment process. Sackett touches upon every concept a recruiter needs during talent acquisition right from building the right talent acquisition tech stack and measuring the effectiveness of the talent acquisition system to handling the real challenges most recruiters face when attracting the best talent (for example, competing with the better-paying, bigger companies and more). Sackett encourages recruiters to take an attitude that’s all in on the positives of the organizations, and not the negatives. If you want to find ways to get the top talent for your company or for your clients (despite your salary, location, management and other constraints), this book is written just for you. Besides being a well-known business leader and speaker, Mark Miller is also the co-author of several successful books, including the international bestseller The Secret: What Great Leaders Know and Do. He travels around the world and teaches on diverse topics such as teams, training, and leadership. All this expertise channeled into his recent book Talent Magnet: How to Attract and Keep the Best People. Leaders of many organizations around the globe struggle with talent shortage. Companies battle for talent while trying to figure out what their potential employees really want. Did you know that top talent looks for different characteristics in an organization than average talent? With its pragmatic approach to attracting and retaining the best people, Miller’s book will help you improve your recruiting strategies and transform into a company attractive to the top talent in 2019. 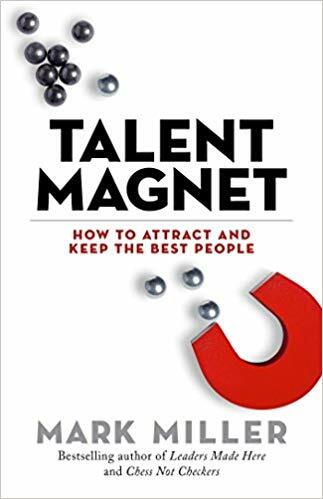 Written in a clever and entertaining style, the Talent Magnet will become your ultimate helper in the quest to hire the best people. A best-selling author, recruitment specialist, and retention coach, Heike Guilford has helped place candidates for all kinds of roles right from those of junior staff to senior management. In her book, How To Interview People: A guide to choosing the best person for the job every time (Recruitment Book 2), Guilford teaches recruiters everything they need to make and retain the best hires right from building a talent pool, assessing candidates, conducting interviews, and onboarding the new hires to following the best retention strategies. If you’re looking for recruitment advice that you can immediately put to use and improve your quality and speed of recruitment for your company or clients, then this book is for you. Every chapter comes with an exercise that will make you look into your current recruitment practices to identify the few key patterns, stats, and gaps that you can improve to become a better recruiter. A professional recruitment specialist, Mary Ann Faremouth has extensive experience in the national recruiting world and has served as the 2016 PRESIDENT of Houston Independent Personnel Consultant Group (NASPD). In her book, Revolutionary Recruiting: How The Faremouth Method Helps Job Seekers, Recruiters and Businesses Learn To Match People With Their Passions, Faremouth shows recruiters “The Faremouth Method” of recruiting that includes strategies for evaluating, interviewing, and assessing a candidate to determine their fit in an organization. If you feel that you rely too much on resumes to match candidates to jobs (and end up making bad placements as a result), then this book is right for you. It will help you do “placements that will stand the test of time” for your company or your recruitment consulting clients. Learn how AI and Technology can be leveraged to enhance both the recruiters’ and candidates’ experience. With years of experience on recruitment strategies, processes, and technologies, Andy Headworth is also an expert on integrating social media into recruitment. He is considered a recruiting influencer with over 24K followers on his Twitter account. 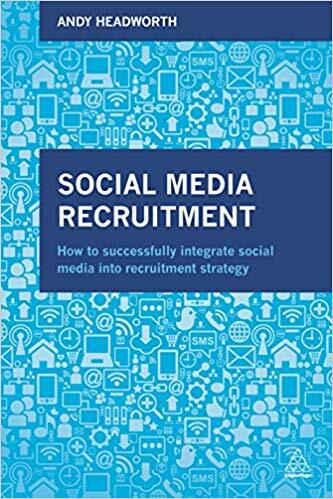 Headworth’s book Social Media Recruitment: How to Successfully Integrate Social Media into Recruitment Strategy offers an in-depth insight into how social media can be used to attract talent. The book provides practical guidance to all HR and recruiting professionals interested in utilizing social media recruitment in their talent acquisition strategy. Furthermore, the book features numerous case studies and examples from different countries all around the globe. If you are looking for an actionable guide to help you implement social media in your recruitment strategy, Social Media Recruitment can be the perfect book for you. Jeanne C Meister & Kevin Mulcahy specialize in workplace trends. Meister is among the top 50 influencers in Corporate Human Resources according to Glassdoor and contributes to Forbes Magazine. Mulcahy is a well-known speaker on workplace trends who also coaches senior executives. Together, they have written a book on how the workplace will develop in the future and how disruptive technologies and other trends are changing and shifting it. 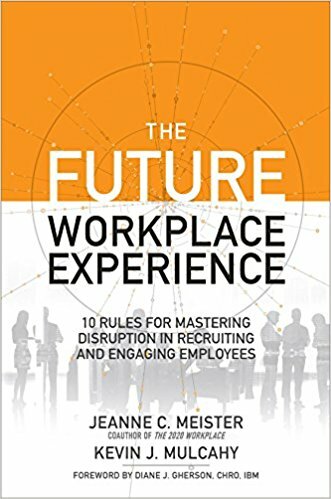 In The Future Workplace Experience: 10 Rules For Mastering Disruption in Recruiting and Engaging Employees, the authors provide an actionable framework to deal with the disruption and bring your business to the next level. The book is helpful not only to newbies in recruitment and HR but also to seasoned professionals. Learn how to embrace the changes and how you can transform your organization to thrive in the future with this practical guide! Ozan Dagdeviren uses his expertise on human behavior analysis, communication, and recruitment in helping startups and scaleups to grow. He provides consulting on various HR & Culture issues, advising companies on how to pick the right partners, how to hire the right people, and more. In his book Creative Hiring: The Pinnacle Model for Spontaneous, Imaginative, Collaborative Interviews, he introduces a model of a job interview where both sides enjoy, learn and develop themselves. This model helps uncover the qualities and competencies of a candidate through in-depth human interaction. If you’re looking for a refreshing insight into the recruitment and hiring process, this book is the right choice for you. Professionals looking to change and innovate their interviewing practices in 2019 will find great inspiration as well as guidance in the Creative Hiring. With over two decades of experience in HR and recruitment, Mervyn Dinnen is a talent analyst who advises businesses on emerging trends in these areas. He is also a writer and an international speaker. Matt Alder helps companies embrace innovation and digital transformation in HR and recruitment, and he hosts a successful podcast The Recruiting Future. These two joined forces to write Exceptional Talent: How to Attract, Acquire and Retain the Very Best Employees. If companies want to succeed, they need to attract, hire and retain the best employees. The book explores how the talent journey is changing and how changes and developments in technology, communication and employee preferences impact it. You will learn about creating an authentic employer brand, new trends in candidate sourcing, various ways to target potential candidates, and much more. This book will provide you with many tips and actionable strategies to improve recruitment and hiring at your organization. Well, that’s enough reading for the whole year! If you’re worried that you don’t have enough time to read, check out these 7 secrets to reading more books. Would like to discover more books to improve your recruiting in 2019? Check out these 15 more great recruitment books. Find out how tech has helped other companies grow by enhancing both the recruiters’ and candidates’ experience! Disha Sharma is intrigued by how great hires are made and loves exploring the latest HR and recruitment trends, best practices, and news to help companies hire and engage their A teams.